There is a fairytale-worthy Caribbean island in the French West Indies, surrounded by shallow coral reefs teeming with colorful sea life and beaches of pure white sand. The ideal location for a Caribbean destination wedding, St. Barthelemy (also known as St. Barts) is exactly the type of idyllic tropical playground that many couples seek for an intimate, relaxing luxury wedding experience. The residents of St. Barthelemy speak French as the island is a “collectivity” of France, and English is spoken in most resorts and restaurants. It is nearest to St. Martin and Puerto Rico in the Greater Antilles. The people of St. Barthelemy care deeply about their rich natural legacy and strive to keep their environment safe from the impacts of modern life. As a result, most of the volcanic island remains a pristine escape, favored by the rich and famous. While staying on the island for your St. Barthelemy wedding, your guests will enjoy unrivaled Caribbean scenery, beautiful temperate weather and their choice of outdoor sports and adventures. 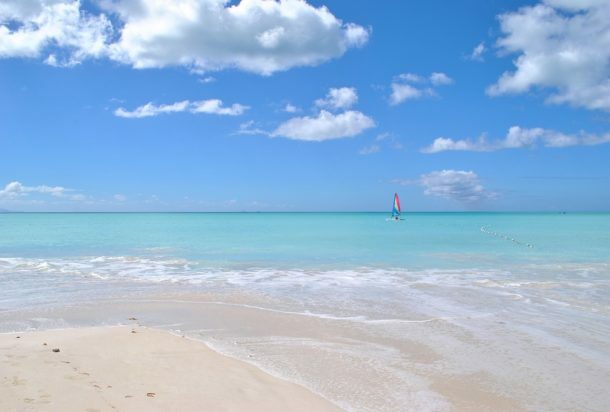 Popular activities include windsurfing, scuba, sailing, snorkeling, kite surfing and simply relaxing on the beach. Sightseeing tours are available by land and by sea and the island’s extensive history and contact with a variety of cultures lend a variety of sites and stories to be enjoyed. Antiquing and perusing art galleries, shopping and dining are all also popular past times for visitors to St. Barthelemy. Cocoon Events’ expert luxury wedding planners can help you design an exciting, top quality destination wedding weekend for you and your guests. Our team will handle the logistics of accommodations for your guests, travel around the island, coordinating premium vendors to satisfy all of your event-related needs, and superior design to give each piece of your celebration a personal touch. Experience a stress free luxury wedding in St. Barthelemy, complete with life-lasting and magical memories. We delight in customizing award-winning events for our VIP clientele, and we are honored that you would consider including Cocoon Events in your big day.